Live It Up! Hillsborough Street recently released its first quarterly market report. The goal of the report is to track the market of Raleigh’s Hillsborough Street Municipal Service District with data and metrics on a quarterly basis. The district borders stretch from Goodnight's Comedy Club west to the I-440 Beltline. 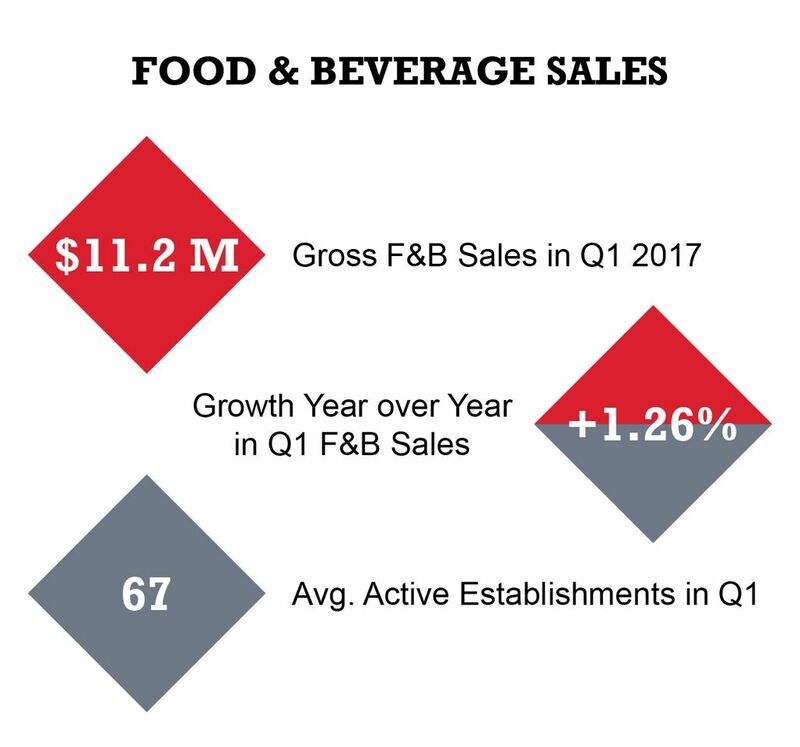 The report shows Hillsborough Street continues to see impressive prepared food and beverage sales growth with the first quarter of 2017 seeing sales significantly outperform the three-year average. Gross sales in Q1 of 2017 were 1.26% higher than gross sales in Q1 of 2016. 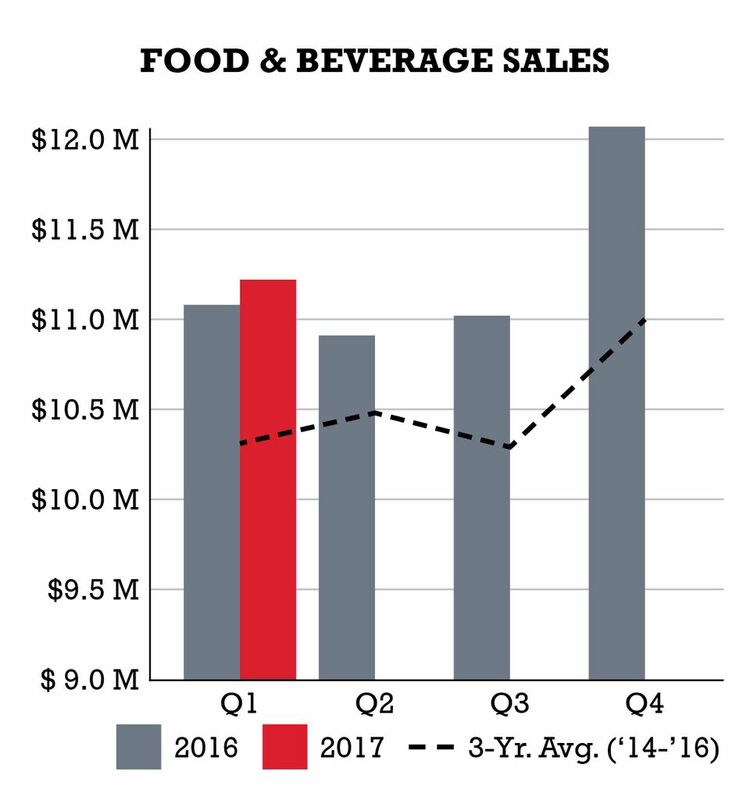 The average gross sales per establishment in Q1 2017 grew to $167,462 from $163,744 in Q1 2016. Gross sales for Q1 2017 were $11.22M while the three-year average for Q1 is $10.31M, meaning this quarter outperformed the average by $910,000. February and March of 2017 were the two highest months for gross sales in a first quarter within the last three years. Business openings and closings were net neutral both in the number of establishments and the net change in total square feet occupied. 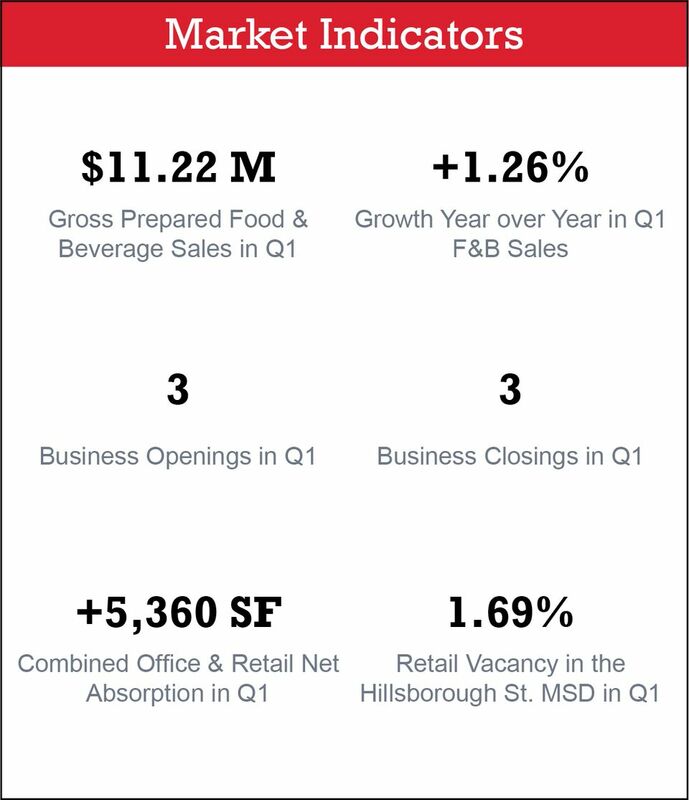 Q1 included three closings and three openings. The openings included a convenience store, food retailer, and a restaurant while the closings included a fuel/tobacco, restaurant, and bar/entertainment business. In the month of February there were three closings and one opening, while January and March each saw one opening. In Q1, due to openings and closings, total occupied square feet increased by 44 square feet for roughly a net of zero. ''Will Gaskins, our Economic Development Specialist, has done a fantastic job of collecting very relevant information about the health of our economic environment. I’m proud to see the release of his first Quarterly Economic Development Report and I believe it will be a very useful tool for the community,'' said Jeff Murison, Executive Director of Live It Up! Hillsborough Street. ''By all accounts, the economic indicators all point very positively for the health of the greater Hillsborough Street market,'' Murison continued. Live It Up! Hillsborough Street plans to produce and distribute the market report every quarter to allow the public to view the progression and success of the Hillsborough Street district. For the most current information about construction projects and real estate available for sale/lease in the district, visit here.